Following two national searches for important leadership positions, I’m delighted to announce Key Nuttall as our new vice president for marketing and communications and Stan Waddell as our new chief information officer (CIO). The search committee was struck by Key’s authenticity and collaborative nature as well as his breadth of marketing and communications experience. 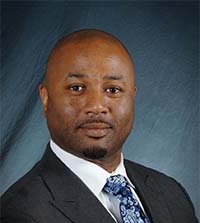 He currently serves as senior vice president for external relations at Wesleyan University in Connecticut, where he has led the branding, marketing and communications strategy, tactics and programs across the university.Prior to joining Wesleyan, Key served as the assistant vice president for university marketing at the University of Washington, where he led a team responsible for all campus-wide marketing activities. He also previously held a variety of marketing and management positions at Microsoft Corporation, concluding as director of strategy and marketing for the Learning Business unit. The role of vice president for marketing and communications is vital to raising Carnegie Mellon’s global visibility. In addition to directly supervising CMU’s Marketing and Communications Division, Key also will foster collaboration with CMU’s colleges and schools to lead the implementation of a proactive, innovative, and comprehensive marketing and communications strategy that highlights our breadth and depth in scholarship, education and societal impact. Key holds a bachelor’s degree from Colgate University and an MBA from the Anderson Graduate School of Management at UCLA. He will start his new role at Carnegie Mellon on March 25. As CMU’s chief information officer, Stan will manage the university’s computing enterprise, starting April 1. Stan is a proven leader with decades of experience overseeing computing and technical divisions at large universities. Previously, he was associate vice president and CIO at the University of New Hampshire, where he led the university’s central IT team. Before joining UNH, he was assistant vice chancellor and chief technology officer at the University of North Carolina at Chapel Hill and spent nine years at the University of Texas Southwestern Medical Center. Waddell also served in the U.S. Navy as an aviation electronics technician for nine years. Stan is filling an essential role for the university as he will provide a strategic vision for our campus-wide technical infrastructure and will lead the development and implementation of a comprehensive IT strategy. During the interview process, the search committee found that Stan had the right combination of technical and leadership skills that set him apart from other candidates. 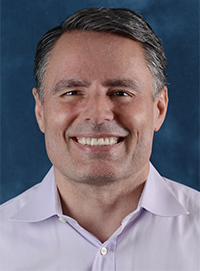 Stan holds a bachelor’s degree in electrical engineering from Old Dominion University, a Master of Advanced Studies from the University of Texas, and a Ph.D. in information systems from Nova Southeastern University. I would like to thank members of the university community who helped to inform each of these search processes. I’m especially grateful to members of the search committees, who gave generously of their time to consider each candidate carefully and who provided valuable feedback throughout the search processes. I also wish to acknowledge the service and leadership of both Scott Mory and David Baisley, who served as interim vice president for marketing and communications and interim chief information officer, respectively. I’m glad that both will continue to be an imperative part of the university community. At this exciting time for Carnegie Mellon, the entire leadership team looks forward to working closely with Key and Stan to raise the university’s visibility and enhance our academic and institutional distinction. Please join me in welcoming them to CMU.